Internet firms already let consumers order tests without help from a doctor. More than 20 states let patients order blood work without a prescription. (Bloomberg) — Consumers will soon be able to bypass their doctors by going online to order cholesterol readings, thyroid tests and other bloodwork from the biggest diagnostics company in the U.S. Laboratory Corp. of America Holdings (NYSE:LH) will let customers go online to pay for tests, visit a service center to get blood drawn, then view the results on the Web. The company has already been doing back-office lab work for a number of Internet firms that let people order up tests without a doctor. Rapid and at-home diagnostics are a growing corner of the health-care market, with businesses like WellnessFX Inc. and Direct Laboratory Services L.L.C. tapping into demand from patients who want to get sensitive results in private or seek to monitor their health outside of the traditional doctor’s office. Companies like LabCorp are tapping into demand from consumers who want to measure their bodies to monitor the effects of exercise and healthy living and to learn about their potential risks of disease. LabCorp is also facing competition as options emerge for consumers to get tests without visiting a service center at all. Startup Theranos Inc., founded in 2003, has developed a diagnostic kit available in some Walgreens (NYSE:WBA) locations that it says can provide a range of results, from lipid panels to the presence of HIV, with mere drops of blood. LabCorp’s direct-to-consumer business will initially be run online. The company is exploring a partnership with a drugstore chain as well — an idea that rival Quest Diagnostics Inc. (NYSE:DGX) tried and scrapped. The company didn’t say precisely which tests it will offer or how much it will charge. In some states, the law will still require consumers to get a doctor to order tests. The consumer appetite for health information is growing as devices like the FitBit and the Apple Watch offer more sophisticated ways to monitor the body, and as companies like 23andme Inc. clash with regulators over the interpretations they provide for genetic information. Erena DiGonis, a licensed clinical social worker and health coach with a consulting business in New York City and Long Island, decided to order her own bloodwork online when the specialists she saw wouldn’t run certain tests that she wanted done for a thyroid condition. Many of the tests don’t come cheap. WellnessFX, based in San Francisco, charges $988 for its most comprehensive package, which includes biomarkers for omega-3 fatty acids and fibrinogen, a protein produced by the liver. Customers can go to a Quest Diagnostics center to do their bloodwork, and they can add a 40-minute consultation with a physician to discuss the results. 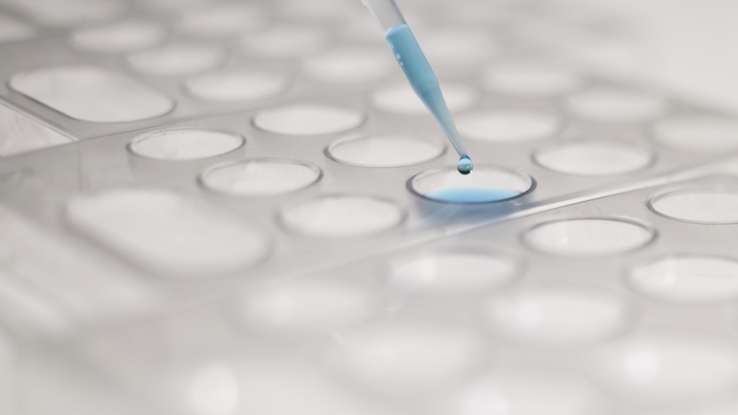 DirectLabs, based in Mandeville, La., offers more routine tests like a $29 metabolic panel — glucose, kidney, fluids, electrolytes, calcium and liver — and a $49 measure of Prostate Specific Antigen, which the company says can be used to detect cancer. Lab operators like LabCorp and Quest Diagnostics are looking for new sources of revenue as they contend with lower reimbursement from insurers and Medicare. The recent movement by hospital companies to buy up physician-owned medical practices has also siphoned off some of the lab work that the major providers had traditionally done. LabCorp shares have gained 23 percent in the past year, lifted by a November agreement to buy drug-research firm Covance Inc. for $6.1 billion to expand beyond testing. The stock rose less than 1 percent to $124.86 at 9:39 a.m. in New York. Quest Diagnostics’ 2002 attempt to start a consumer business, offering bloodwork through CVS stores in Florida and Ohio, fizzled by 2006. Quest didn’t respond to requests for comment. If LabCorp succeeds now, it’s because people are more knowledgeable and interested in their health data than they were then, said William Quirk, an analyst at Piper Jaffray Cos.
“There’s no question that consumers are more educated now than they were five, 10, 15 years ago — that’s thanks to the Internet and smartphones and apps and such.” Quirk said. The question is what tests consumers really want, and if they’re motivated to seek data without prompting from a doctor, Quirk said. Running a consumer business will mean LabCorp must navigate the variety of state laws and regulations on online diagnostics — some favorable, some challenging. Arizona, for example, passed a law this month that will allow residents to get blood tests without a doctor’s order. More than 20 states allow patients to order blood work without a prescription, Quirk said. “The underlying principle is people have a right to control their health, so they should be able to find out anything they want about their health,” King said of the movement in Arizona allowing patients to order any test they would like. The reality, he warned, is far more complicated than that. “When you get into more complex things like thyroid disease, oncology and infectious disease, I’m completely supportive of the idea that a patient should understand and take accountability for their care — but there’s interpretation,” he said. LabCorp will make sure protections are in place for some sensitive tests so doctors are involved in explaining what the results mean, he said.